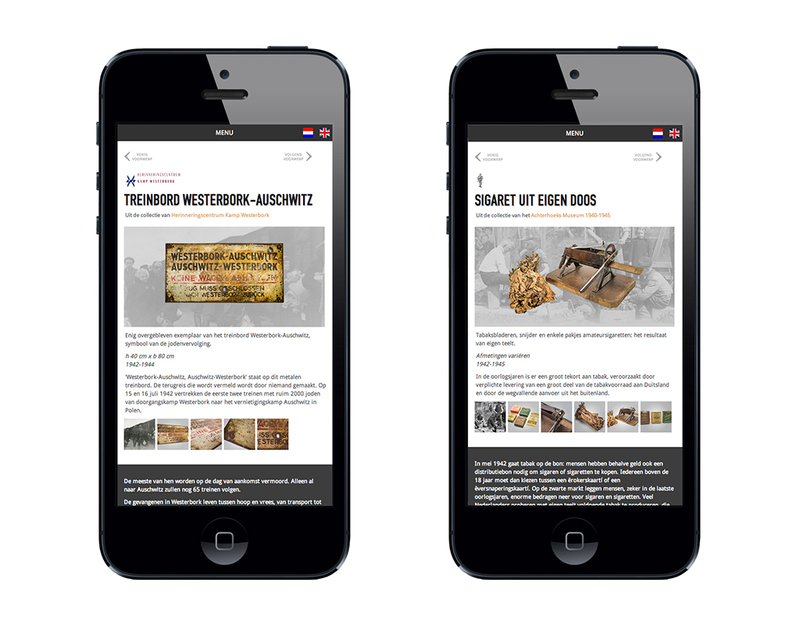 One hundred diverse objects from the combined collections of 25 Dutch war museums have been brought together for a unique (online) exhibition. Ad van Liempt put together this exhibition that was on show last year in the Rotterdam Kunsthal. 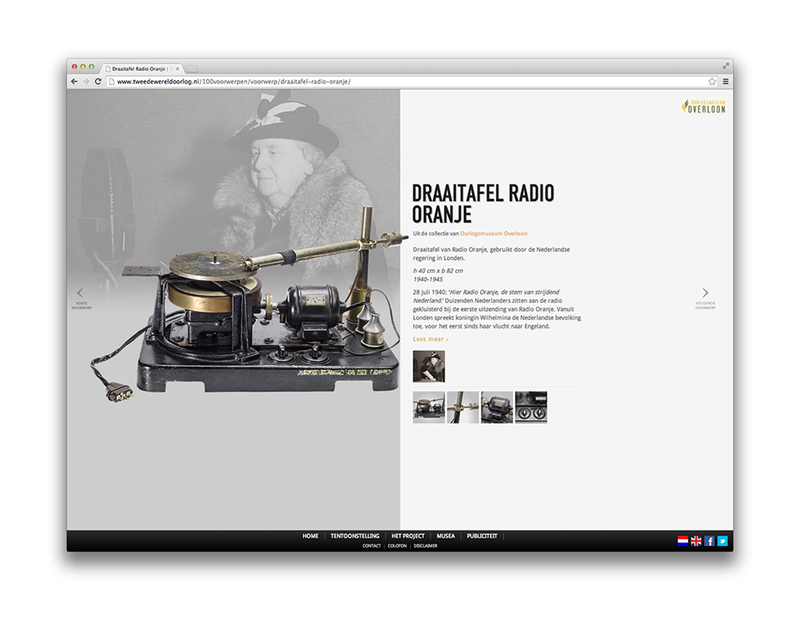 He chose the objects from the splendid collections of the museums and commemoration centres in the Netherlands. Top pieces from other organizations and private collections were added to round out the selection. 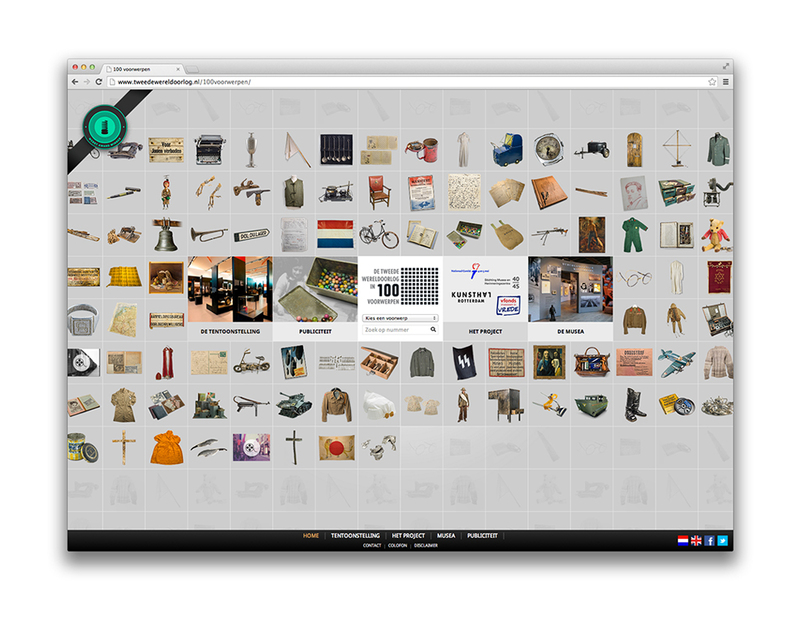 The objects, each one with its own special story, showcase the many different sides of WW II. Ranging from a wool sweater that, because of the textile scarcity, was made entirely out of dog hair to a pair of round spectacles that famous Dutch resistance fighter Hannie Schaft used as a disguise during her missions. Black Magic Marker was responsible for concept, design and realisation of the website.